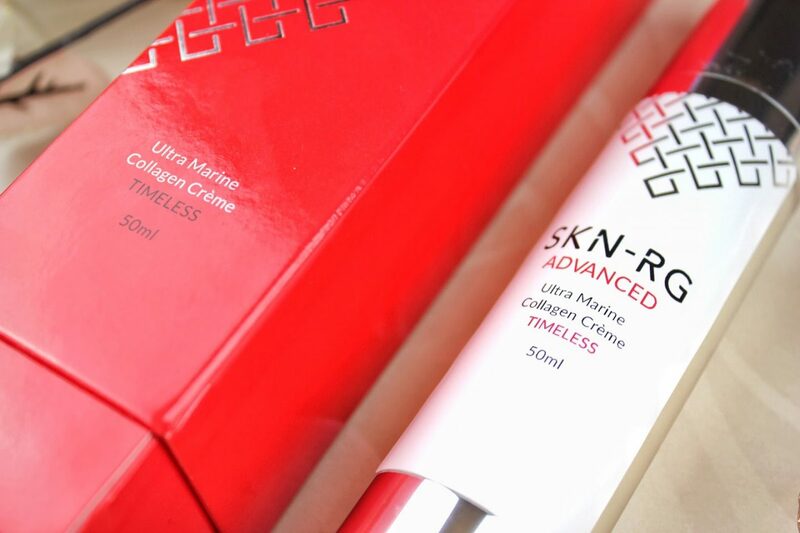 Before being sent this product to review, I had never come across SKN-RG before, so of course, I did my research, and was pretty pleased with the info I found. SKN-RG is an organic skincare brand which, after years of research and discovery, was founded by Robert and Deborah Scott. Using natural ingredients combined with scientific advances, they have created a wide range of organic products for numerous skin concerns. I was sent the Ultra Marine Collagen Creme* and immediately fell in love with the packaging. 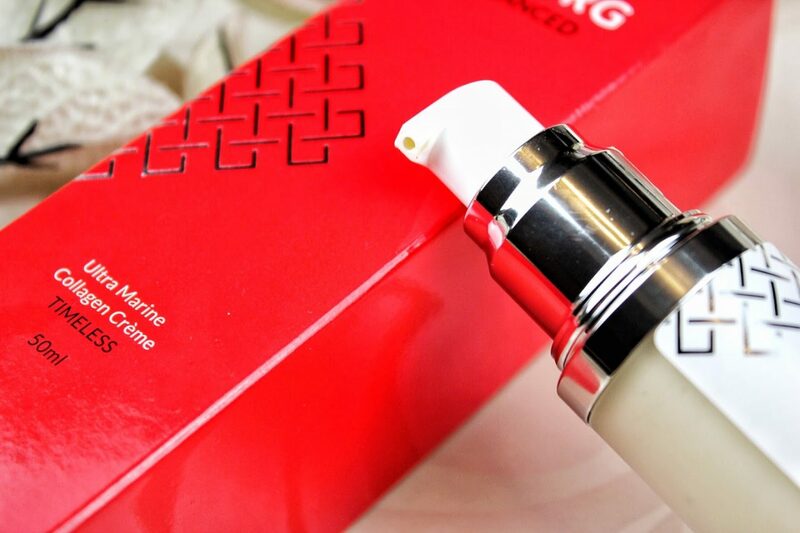 The creme comes in a sleek red box and is presented in a classy glass and metallic tube which gives a high end look to the product. Taking the lid off revealed a pump action bottle, which is brilliant as it helps control how much you use, makes it very easy to dispense the creme and, of course, is hygienic – yey! When using the product for the first time, the first thing I noticed was the smell – I can’t describe the scent other than it reminded me of the few times I’ve been to a spa and have been pampered with luxury, high end, organic products! The Ultra Marine Collagen Creme* is from the anti-ageing range, and though I don’t have any wrinkles yet (I hope! ), it can’t hurt to fight the signs of ageing early and keep the plumped, youthful glow whilst I can. Whilst it takes a couple of weeks of using this product to see drastic results, I did notice some difference in my skin after just one day. After applying the product my skin looked more even and smooth, and I definitely had a glow to my face! Another bonus is that despite having incredibly sensitive skin, I didn’t flare up once. Result! 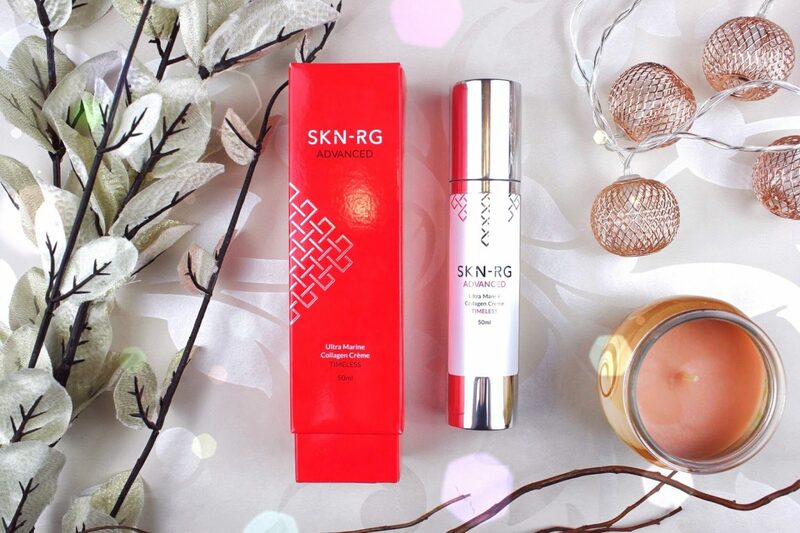 Have you heard of SKN-RG before? What’s your go to skincare brand at the moment? *I was sent this product in exchange for a review but all views are my own!